What type of information is in a Notice of Proposed Action? 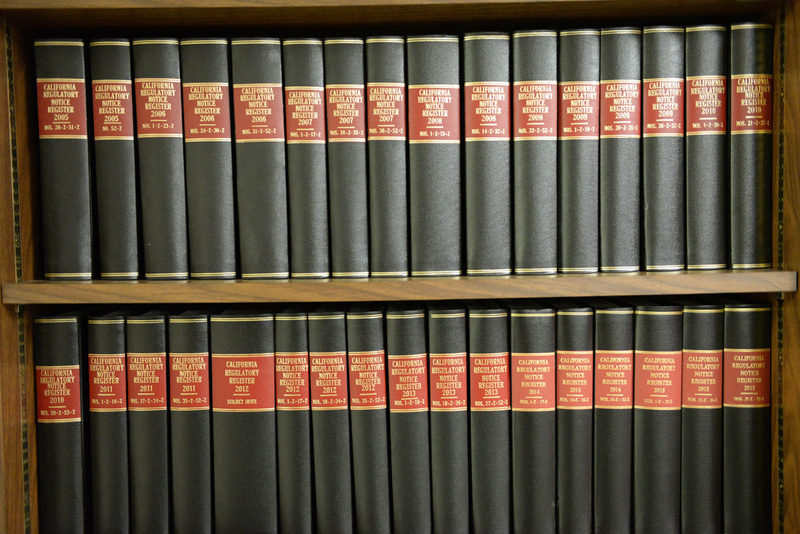 The California Regulatory Notice Register contains notices of proposed regulatory actions by state regulatory agencies to adopt, amend, or repeal regulations contained in the California Code of Regulations. A state agency must complete its rulemaking and submit the rulemaking file to OAL within one year of the date of publication of a Notice of Proposed Action (“Notice”) in the Notice Register. (Government Code Section 11346.4(b)). OAL provides online access to current and past issues of the California Regulatory Notice Register online. The Notice of Proposed Action contains a variety of information about the nature of the proposed regulatory changes including various findings, determinations, statutory authority and the law(s) being implemented. The Notice of Proposed Action also contains procedural information, such as deadlines for submitting comments, scheduling of hearings (if any), and where copies of the Express Terms, Initial Statement of Reasons, and any other supporting information can be obtained (see discussion below). For non-major regulations, the results of the Economic Impact Assessment will be included in the Notice of Proposed Action. If the rulemaking is a major regulation, any comments provided by the Department of Finance, along with the agency’s responses, will be included in the Notice of Proposed Action. OAL publishes the Notice Register every Friday. To be published, a Notice must be received by OAL no later than 10 calendar days before the publication date. Section 5, Title 1, California Code of Regulations describes what an agency must submit with its Notice. The Notice Register Index covers the past twelve months of notices of proposed actions published by state agencies and is sorted alphabetically by agency name. You can find the text of a notice of proposed action in the California Regulatory Notice Register, using the publication date or register number to locate the California Regulatory Notice Register in which that notice was published. An annual subscription to the California Regulatory Notice Register is available for purchase online from Barclays. You may also place an order by telephone at (800) 888-3600.